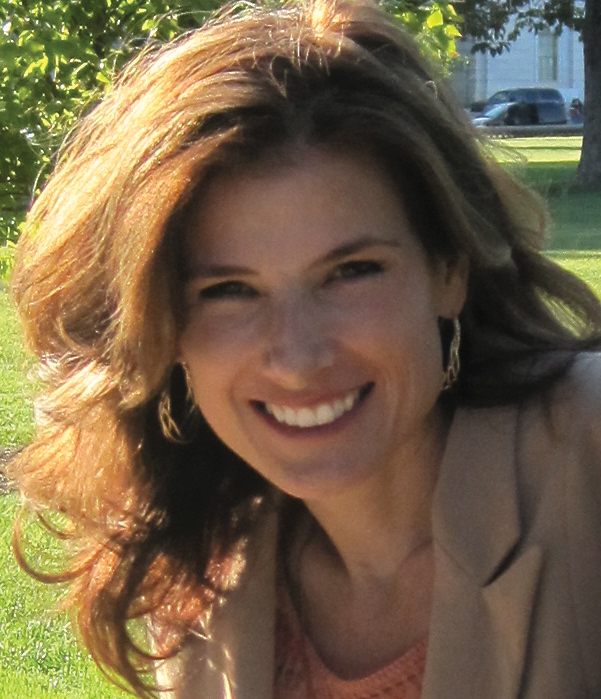 If you’ve been reading my blog long, you know I talk about hope as a verb – something you do. Hope is not something that some lucky people just have. When you’re actively hoping, you’re probably doing as much as you can too – even if it’s “only” praying. Hope typically leads to action. Actually, I’m really hoping this nausea will go away. That’s why I just got up and took another Pepto-Bismol. Hoping I can find a treatment that will slow down my Rheumatoid disease, I’ve tried every type of treatment I could. I got into a clinical trial as a way to try rituximab when every other door was shut. I’m hoping really hard that Rituxan will be the one that works on me. Like I said, hope can be hard work sometimes. Seeing how much we can accomplish, it’s not hard to imagine that we can do even more in the next year! There are so many things that can be done to improve things for people living with Rheumatoid disease! The Board of Directors of the RPF has set some exciting plans in motion to make many of the ideas patients have discussed on this site for the last couple of years become a reality! Doctors and patients have asked us for resources and tools for patient care, research collaboration, and disease awareness. The needs are so great and we, as patients ourselves, are the ones who can best meet them – and we are! Please join us now in doing all we can to help the RPF help patients! Make a donation to the RPF – click here. Ask others to send end-of-year donations too. 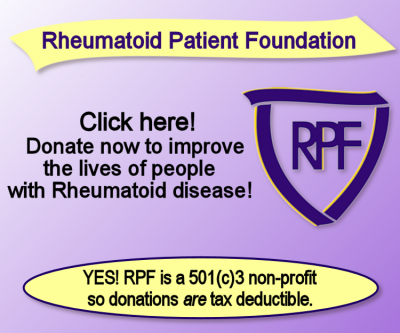 Watch the new RPF Faces of Rheumatoid Disease video – click here. Don’t forget to LIKE it on YouTube and share it! Click here to get new RPF posts emailed to you or subscribe to the feed of the RPF blog called RAD Events on the RPF website to keep up to speed. Join our new RPF Facebook page – click here and share with friends. ← Keeper or Loser: I’m Not Giving Up, But What Do You Think? I’m not sure if you are aware, RAD also stands for Reactive Associative Disorder. It’s a mental illness, my nephew has this. Don’t know if it makes any difference. Thanks, Becky. Patients have been using this for almost a year and a half since the term was coined here – it’s not my favorite but I think we’d have a hard time doing better right now. RA also stands for many things. Usually if you google it you won’t get mostly rheumatoid posts. You’ll get SunGod and Resident Assistant and Resident Advisor. There are lots of other reasons more important to change it than that of course. It doesn’t matter to me one way or the other just didn’t know if there could be a legal issue. It’s funny, not many folks know about the other RAD and not many folks really know about this RAD…only the poor souls that end up with either one. Didn’t matter to me much which one patients chose so I didn’t promote one choice or the other. But it seems folks have settled on this. ANYTHING is fine with me that emphasises it is a disease since arthritis is only one of the symptoms. This will completely change the game as they say. Didn’t mean to get side tracked by the RAD thing. Thank you Kelly for all of your hard work you do for the community here. 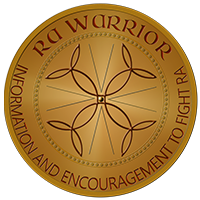 I can’t think of another person who works as hard as you do to help RA suffers every where. Today’s message says so much……Hope is one of the most important meds RA patients have right now, and you have certainly been such a good messenger for this. Getting up every morning with an “I hope” sentence in your mind gives you a reason to get up! We all hope that 2012 will be a better year for you and for all those we love who suffer so much with this awful disease…. and we hope that next year will be the year that something really helpful will be produced, invented, or suggested to make RA patients’ lives more comfortable! Thank you again, and we wish you a Happy, Hopeful, and More Healthy New Year! Thank you Vi! I love the part about starting every day with an “I hope” sentence – I think I have to re-start myself several times a day with that actually! And I’ll make sure to do it consciously. Kelly, I just saw your “Recommended Reading” link to “Hope is like RA Therapy in a Spray Can” —I read it, and I loved it! As we start the new year, I guess we all start it with hope for a better year ahead than has been left behind. Perhaps by the end of 2012, that hope will be realized by real progress: I hope, I hope!! OH this is sooooo important to us all!! That label of arthritis is the worst thing we have to face I think. How hard it is to tell people what you have over and over only to have it dismissed. I am on this boat. Will work to make this a fact. Im very glad to see the vast improvement on calling this disease what it really is. Last year I lost my fiance to RA lung and was very clueless, when he said Rheum arth. I said take some tylenol. Wrong. Now a year after he is gone ironically I have been diagnosed with RAD, couldnt figure out what was srong with me, several diagnosis. Unfortunately first hand I know how serious this disease is now and dont think arthritis should be in the name at all other than as a symptom. So thank you for all your hard work on this. I am very sorry for your loss Sheryl. And now that you have this disease too. I hope your care is excellent. Thank you for good comment. Yes, hope is! I learned that a long time ago – and it’s hard at times when treatments don’t work, etc but that is the way we’ll get anywhere at all. You’re so right – exercise and juice is nice – two things I really loved all my life! But they won’t fight RAD. They don’t address disease activity. it’s funny Kelly…after I quit teaching, I became a fitness instructor and water therapy instructor until my body gave up on me. And yet people still try to tell me what I should and could do to help my “arthritis”. I keep as active as I can, some days are better than others, but I find people can be so rude without really meaning too! I was always the fitness buff…still am, but with a different goal…just to stay as mobile as I can! Again, it’s a lack of understand that most people have of the real RAD, and the fact that it’s not “just” arthritis. (not to say that’s not painful too). Hi Kelly…. My son found your website and sent it to me… I’m thrilled that he did. It sounds like you are doing tremendous things… I am so impressed and must thank you for all your efforts on behalf of all of us struggling with this miserable disease. Is there a way to chat online with others that have the disease? Like everyone else I get sick of people telling me what I should do …. No one gets it! Anyway, thank you for your website and all the information you provide. I am a RN on disability with RAD, OA, degeneritive arthritis, fibromyalgia, neuropathities, GERD, on coumadin for life (due to PE’s, mild COPD (from GERD), and some other issues, etc. I am very impressed with your site! What you have accomplished in one year is amazing! When I went to my current rheummy in 2003, she decided I didn’t have RAD and took me off all my current meds. Within two months my feet had changed so much that I couldn’t wear shoes and needed corrective surgery on both feet. I now have rods, braces, plates, and screws in both feet and most toes. My last medication was Simponi, MTX, Arava, Oxycontin, and Prednisone. Currently I am on Arava, Prednisone every other day, Savella, and a patch for pain )plus other meds from other docs). I still have pain but it is managable. I walk and am starting an arthritis swim class. I would also like to do yoga. For years, many people told me my symtpons were “in my head.” As a RN I knew it wasn’t true, but it was so hard to hear! @ times, it would take a while to build up my confidence again! Back to your site! It is very professional, well written, concise, easy to read, easy to navigate, and tells people how to get involved! Your process is excellent and again I am very impressed! I am going to make a donation (although it can not be as much as I would like as my DH is just back to work after 6 months of very light work – he is self employed), watch the video, subscribe to the RPF blog, read the recommended reading, then do some praying about what else I would like to do. It is great to hear from you Amy. Good luck with your treatment & the swimming. I get that look too, especially because I am a RN! “Why aren’t you working?” My aunt’s_____(fill in the blanks) hands (or whatever) looked a lot worse and she worked! And I had one friend who said that unless I promised her I wouldn’t cancel our plans that day if I didn’t feel good, she would drop me as a friend. We ended up breaking our friendship over something else, but that’s the kind of ignorance I face a lot! 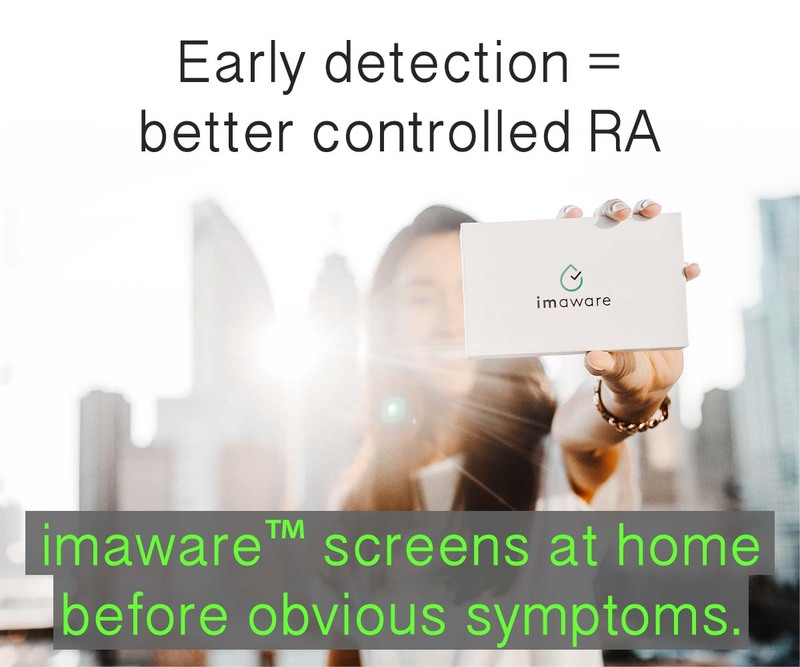 When people see RA, they think it’s like OA! only maybe a “little” worse, maybe. One friend told me Noni juice would “cure” me. So I get what everyone is saying!